Japan Cruise Lines (JCL), the leading Japanese cruise line, is set to include the Philippines in its regular itinerary starting next year, the Department of Tourism (DOT) said. DOT and JCL made this announcement on the sidelines of the ongoing 2017 Philippine Business Mission (PBM) to Japan which will run from June 26 to 29. “We are happy to announce that we will be deploying the Pacific Venus to the Philippines next year. We hope to receive the usual support for the safe and enjoyable stay of our passengers,” JCL Senior Managing Director Kenji Yoneda said in a statement. JCL first brought its Pacific Venus cruise line to Puerto Princesa and Manila in November 2015 and to Bohol, Boracay, Manila and the Hundred Islands in November 2016. He said that the company looked forward to including the Philippines in their regular cruise itinerary in 2018. Tourism Secretary Wanda Teo, for her part, expressed confidence that this would boost the Philippines’ overall tourism numbers. “We are confident that with JCL resuming its operations in the Philippines, visitor arrivals from Japan will notably increase to enable this top four source market to inevitably rise from its present rank,” Teo said. DOT said that cruise tourism is one of the nine product portfolios identified in the agency’s National Tourism Development Plan (NTDP) that will enhance the competitiveness of the country as a tourist destination in the Asia-Pacific region. The agency said that with the National Cruise Tourism Strategy and the ASEAN Cruise Brand, local and multi-country initiatives in the region will be properly guided. The Philippines has had regular calls from huge vessels of the Royal Caribbean Cruise Ltd (RCCL), Star Cruises and from other international liners for smaller expedition cruises. 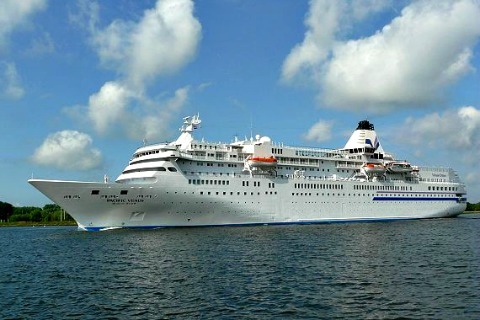 Teo is also confident that more international cruise operators would also make the Philippines a regular port of call. “I am confident that more international cruise operators will find our country lucrative as we go about implementing key measures such as the development of port and shore-side infrastructure, facilitation of business entry and offering more exciting shore excursions, among others,” Teo said. Data from the DOT showed that international cruise calls to the Philippines have been growing at an average rate of 27.8 percent over the past four years, from 56 calls in 2014 to 70 calls the following year, and 72 calls in 2016. This year, the Philippines projects over a hundred port call bringing in an estimated 122,000 cruise passengers.